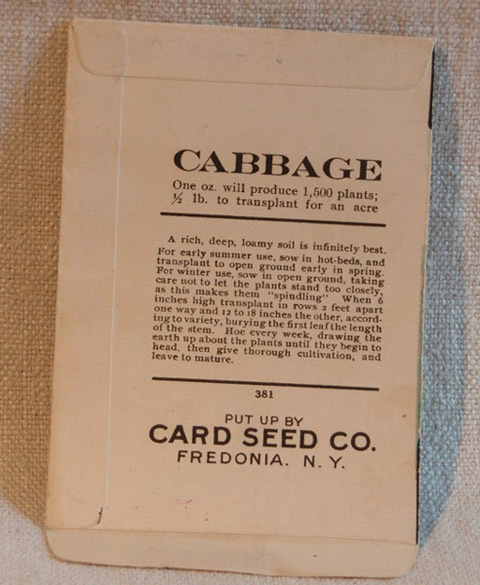 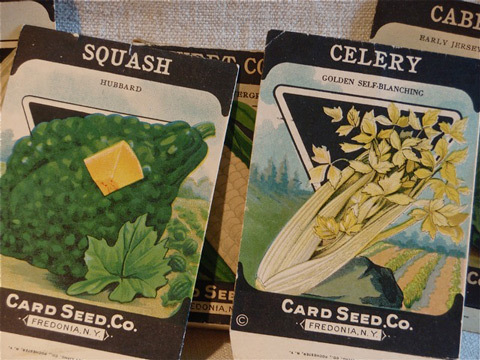 Just in time for garden shed or barn display, I offer 4 Fredonia seed packets and 1 box. 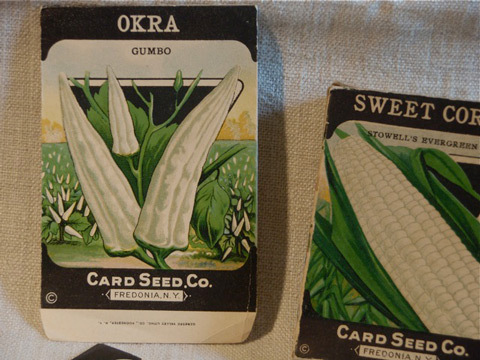 The packets measure 5 by 3 ¼ inches, while the Sweet Corn box measures 4 by 3 ¼ inches. 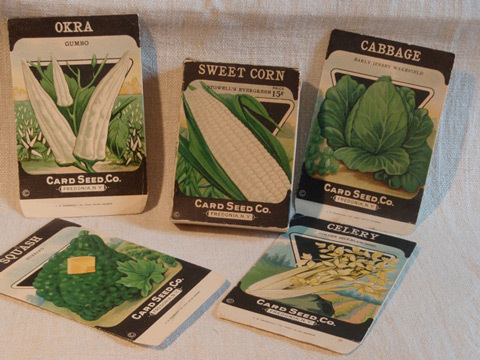 All are in very good condition and the graphics are fabulous!